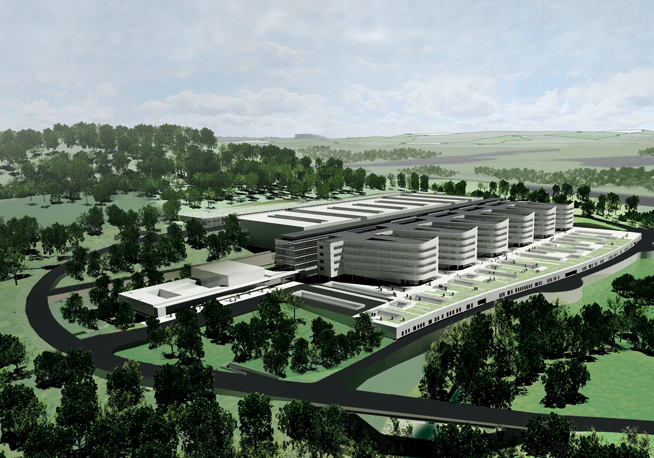 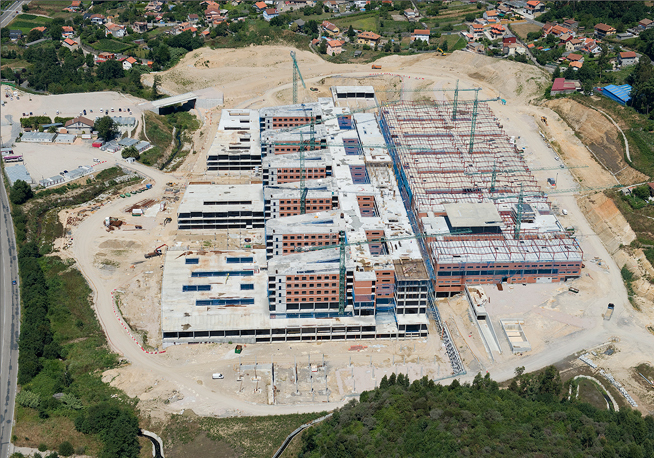 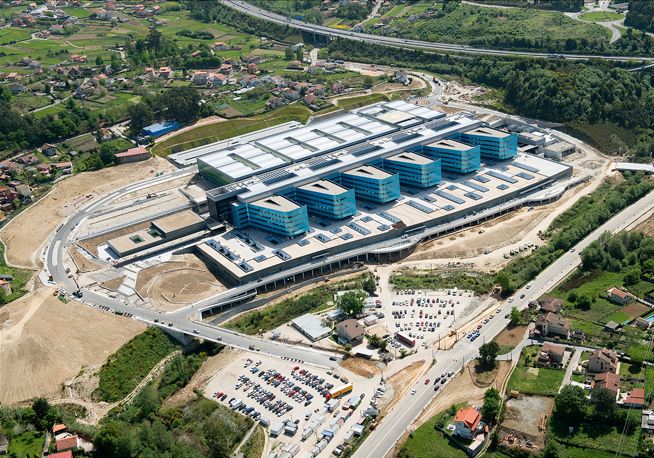 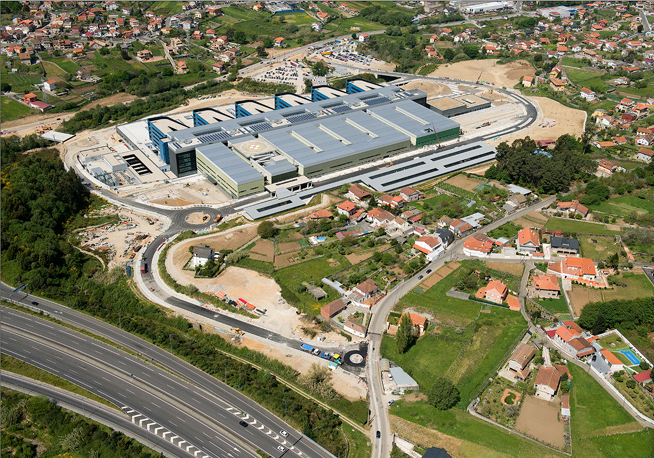 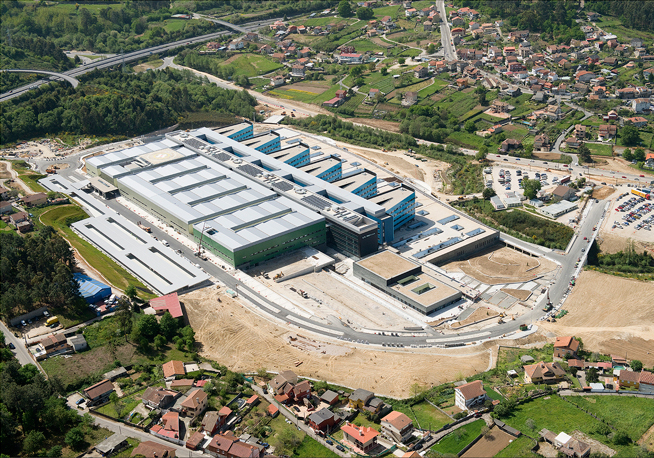 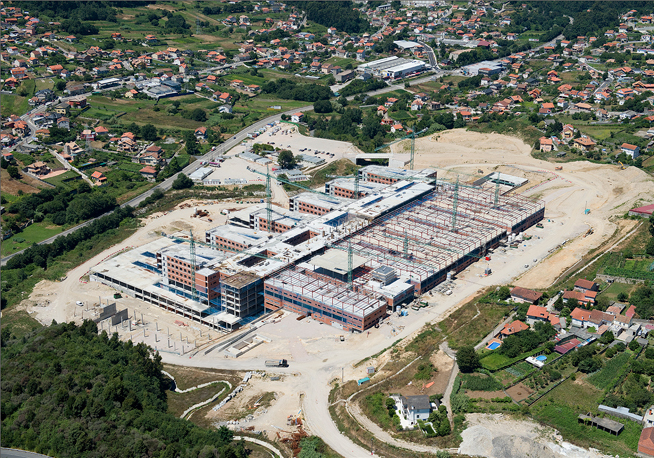 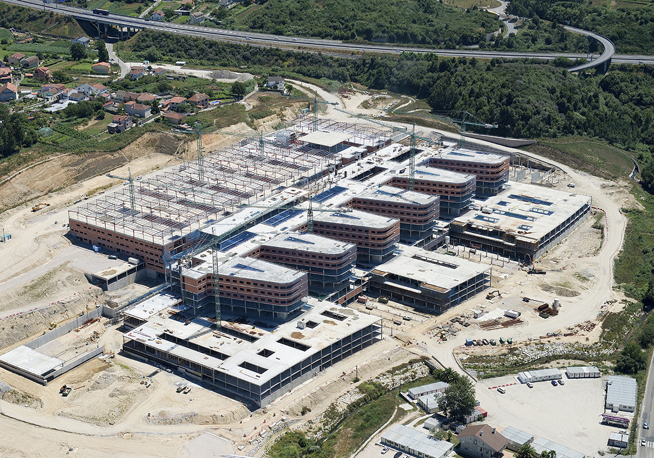 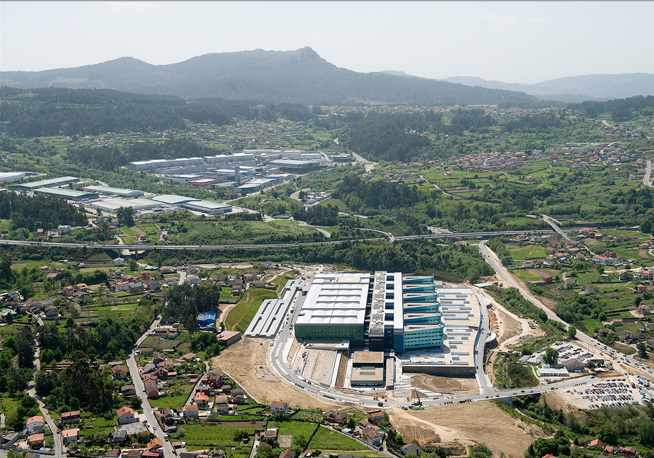 a) New Vigo Hospital, with 1,465 beds. 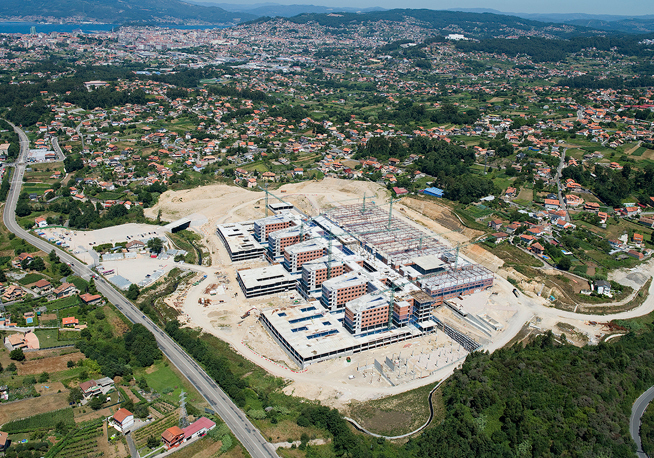 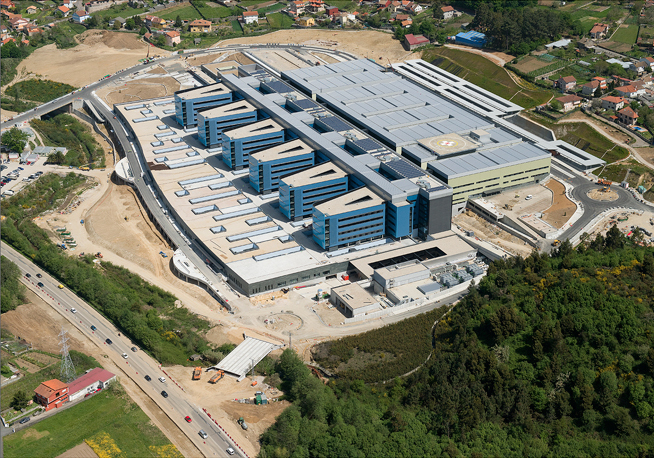 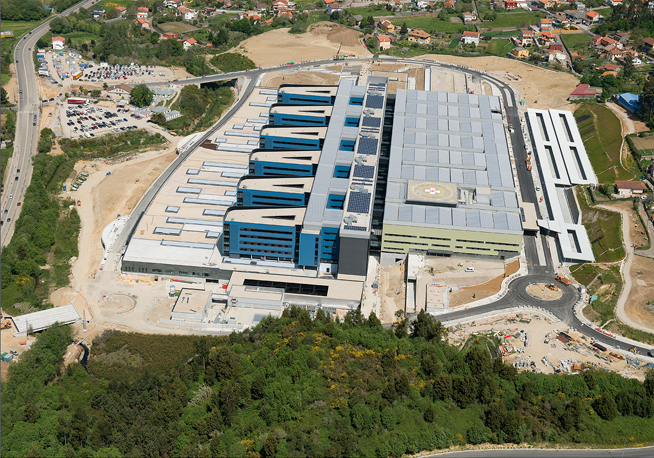 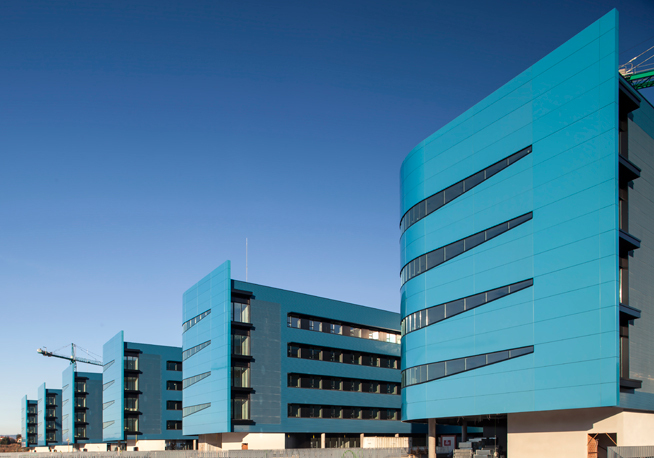 b) Meixoeiro Hospital, with 422 beds. 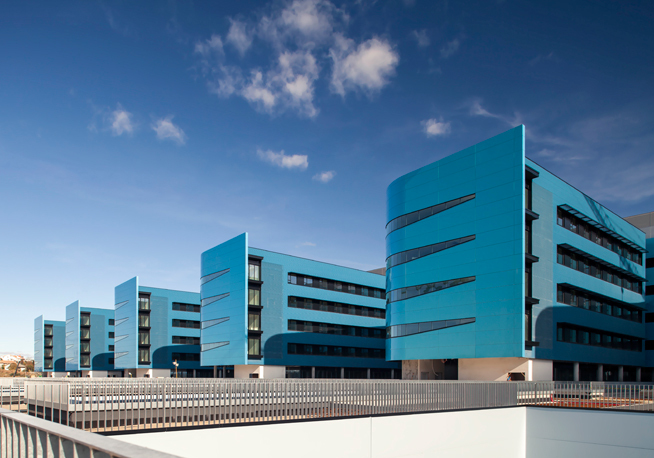 c) Nicolás Peña Hospital, with 120 beds. 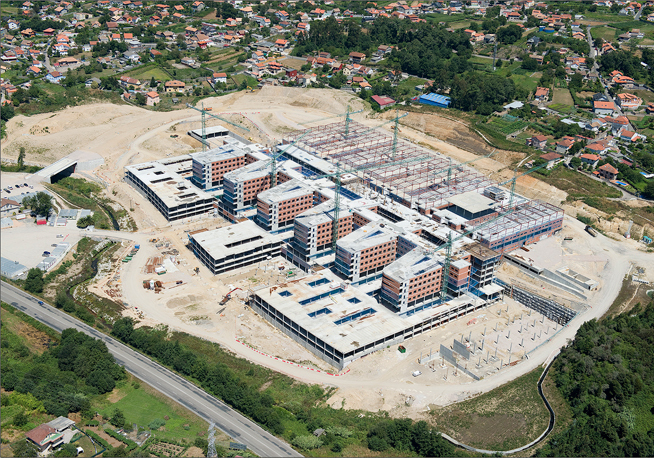 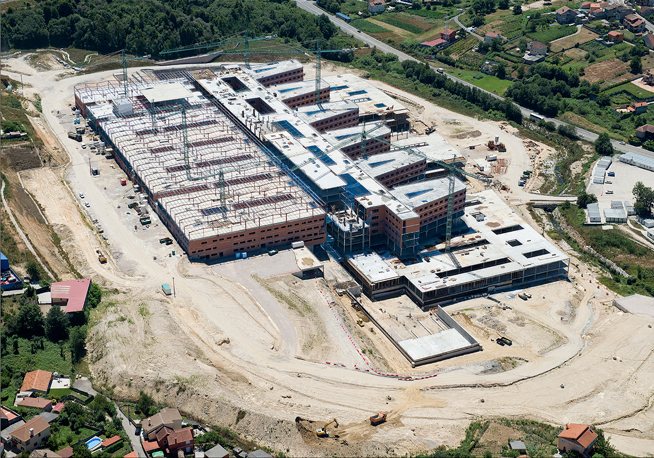 The hospital will have a total area of 300,000 m2 (125,000 m2 of parking area, with 4,400 parking spaces), 35 operating rooms, 160 outpatient clinics, and will serve a population of 575,000 people.